Craving chocolate? Skip the candy bar and get your fix with this sweet, crunchy granola. It’s a chocolate-and-coconut lover’s dream snack that’s also gluten-free and vegan! You’ll love the dark, smooth taste, and your body will love the extra fiber and protein. 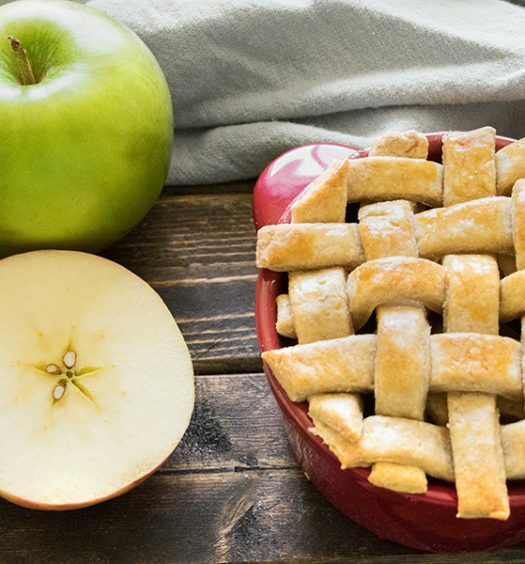 It only takes 30 minutes to make, and stores incredibly well, so you can have it on hand whenever a craving kicks in. Go ahead and indulge! In a large bowl, mix together the oats, ¼ cup shredded coconut, oil, honey, and cocoa powder. Spread evenly on the baking sheet. Bake for 15 minutes, stir, then rotate the pan. Bake for an additional 15 minutes. Cool, then mix with the chocolate chunks and remaining ¼ cup shredded coconut. Store in an airtight container. Dark Chocolate is the ultimate example of how a treat can taste good and still be good for you. It is often hailed for its antioxidant, iron, magnesium, copper, manganese, potassium, phosphorus, and zinc content. It has also been studied for its possible cardiovascular benefits. One of the best benefits of dark chocolates is that a little can go a long way. I am always surprised by how quick just a little bit of rich, dark chocolate can satisfy my sweet tooth. The oats in this granola contain soluble fiber that has been shown to help reduce cholesterol and the risk of heart disease. While fiber has become a trendy part of the diet world, it’s definitely not new. The big reason why it’s such a hot topic right now is because most Americans aren’t getting enough. The recommended amount of fiber is 25 grams for women and 38 grams for men. That’s hard to get with the typical western diet of meat, dairy, refined grains, sweet snacks, sugary beverages, and other processed foods that have little to no fiber. So what exactly is fiber? Fiber is a carbohydrate that is indigestible by humans and is found mostly in whole grains, nuts, seeds, legumes, vegetables, and fruit. Fiber is digested slower so it will keep you full for longer and not spike your blood sugar like a candy bar would, making it less likely for you to feel the need to keep snacking later. When creating a snack or a treat, make sure that you are picking something that will satisfy and stay with you longer. The best way to do this is by choosing at least 3 out of the 5 food groups; fruit, vegetable, grains, protein, or dairy. One problem that often happens when people are thinking of snacks or treats is that they try to find extremely low calorie options, for example 100-calorie packaged items. While those 100-calorie packages of cookies or chips may be fine for the occasional treat, the biggest issue is that it isn’t a nutrient-dense item, so you will most likely be hungry again really soon after eating it. 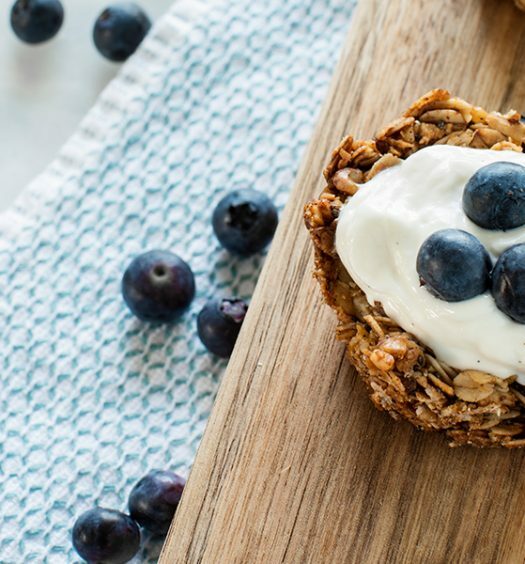 Make your snacks a little bigger, more balanced, and more nutrient-dense foods that will keep your insulin levels balanced throughout the day, provide you with energy, and keep you satiated so that you won’t overindulge later. 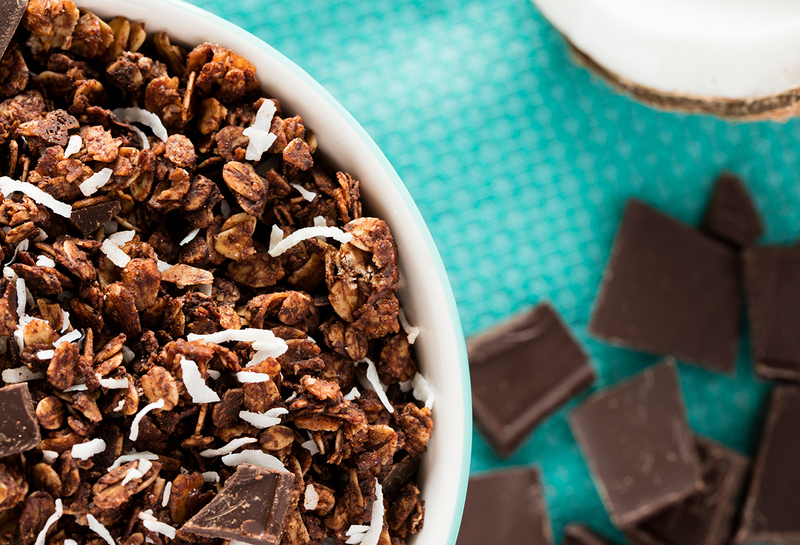 I love enjoying this dark chocolate granola with a fruit, and my favorite greek yogurt. This granola is also vegan and gluten-free. It only takes 30 minutes to make and stores incredibly well. Make sure to make it ahead of time so the next time you have a craving or if you are just looking for a decent snack, you can skip the candy bar and get your fix with this sweet, crunchy granola.